while challenging each student to academic excellence." 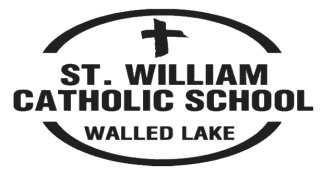 St. William Catholic School has earned full accreditation by the Michigan Association of Non-Public Schools. The principal and teachers are certified by the State of Michigan. The Director of Religious Education is certified through the Archdiocese of Detroit.